The Kromrey Generator is one of the most interesting generators that has made it to the public. Although it has never been mass produced, enough researchers and developers have built them to demonstrate that it definitely has some anomalous properties. 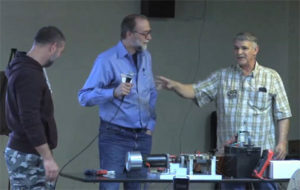 John Bedini is one of those geniuses that has been involved with the Kromrey Generator before most have ever heard of it as well as having built many variations that hold up to the claims of the inventor. 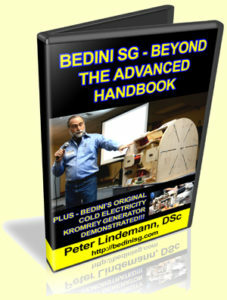 On that same website is the third SG book called Bedini SG – The Complete Advanced Handbook and that goes into a lot of the details on the Kromrey Generator as well. 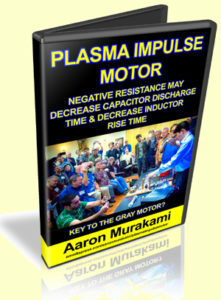 Below is a video where I show a simple video of the machine actually speeding up as the output is shorted – normally, this would create so much counter-torque that it will make it very difficult for the input motor to turn. Instead, it actually climbs 50-60 rpm while the input power actually drops! 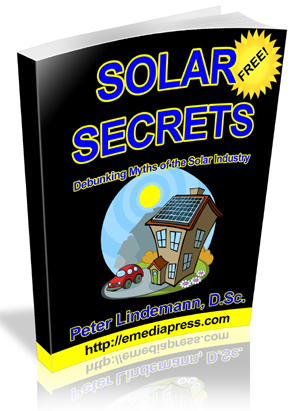 There is a simple reason for this but there are other anomalous aspects that conventional science cannot explain such as the demonstration results that Peter showed at the conference. The below video also gives a few closeups of the Kromrey Generator that John Bedini built (one of them) as well as an error that I discovered in the Kromrey Generator patent that nobody has ever pointed out until now. Share this video with your friends with the share buttons below – not everyone has seen a generator that actually unloads the prime mover when it is shorted out! Please understand the significance of this machine is profound. 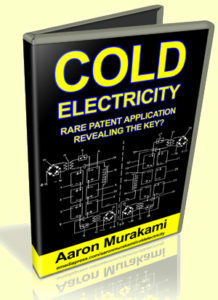 Imagine a gas generator set running and you turn on some lights powered by the generator but the gas engine stays the same RPM. That means that it doesn’t take more electricity to power a load. I still consider this technology in its infancy and there is a lot of room for improvements, which may be coming out in the near future.